A further 6 minute yard and gallops video is currently being uploaded and will be added tomorrow. 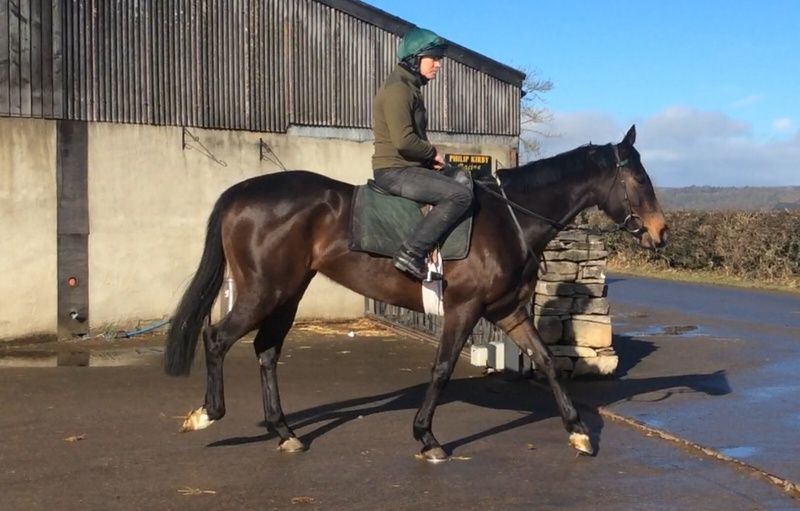 And this is the gorgeous big Flemensfirth filly we have for sale..
A non racing day for us, but a busy one at the yard for Phil and the team and Owners coming to watch their horses. 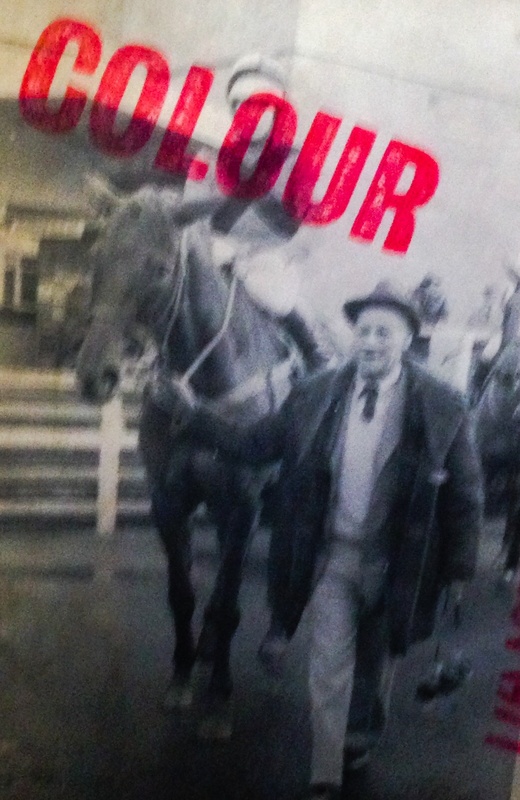 Yesterday we were sad to say goodbye to a lovely man, one of our first Owners, Thomas Ellwood. It was a funeral very much to celebrate his 89 years, and we will remember some excellent days with him and his wife Pat and their good hunter chaser Thorsgill who won two and came 3rd in the John Corbett novice final for us in 2007. 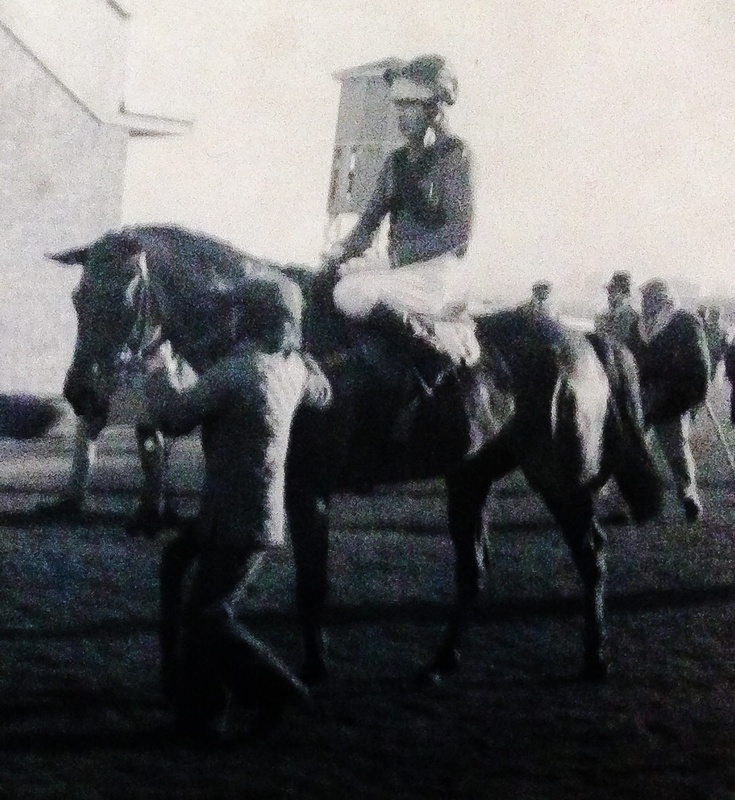 Pat and Thomas trained their own horses for many years and it was on their retirement that they sent us Thorsgill in Phil’s first year. He led all the way and won first time out at 16-1! 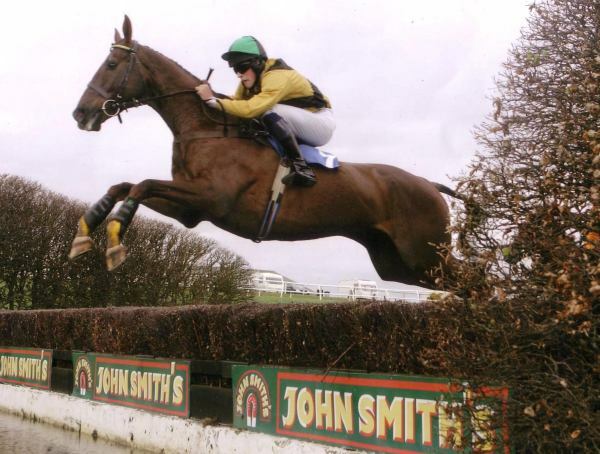 They had particular success with a horse with lop ears called Chosen Slave, and it was regularly ridden by non other than one of our work riders, former jockey and Trainer, Steve kettlewell. 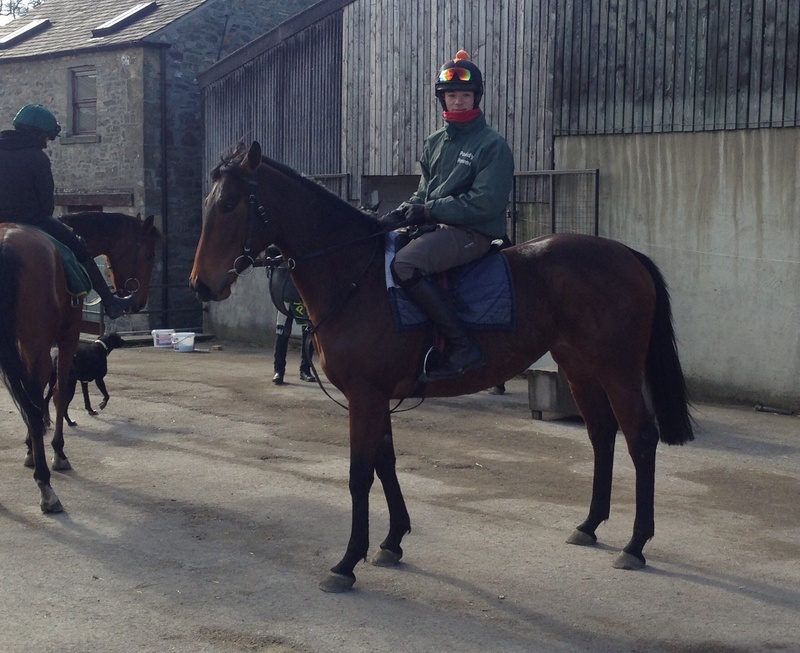 Phil has just sent me these photos of Frozen Slave off his iphone, Steve brought them in this morning…. what great memories. 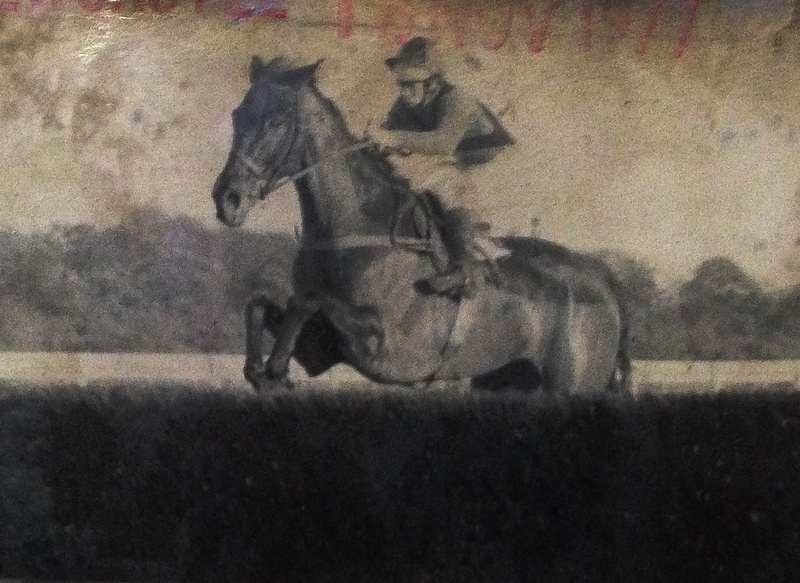 Still as fit as ever, here is Steve in the present day doing a great job on the youngsters, seen here riding the Bollin Eric mare, Due East, a half sister to No Planning and Celtic Agent. Pat has kindly agreed to let us use Thomas’s colours and you will see them out shortly for us, we hope they bring lots of luck. Thorsgill (15) is still going strong and is semi retired with his good friend Mr Muddypaws (25). 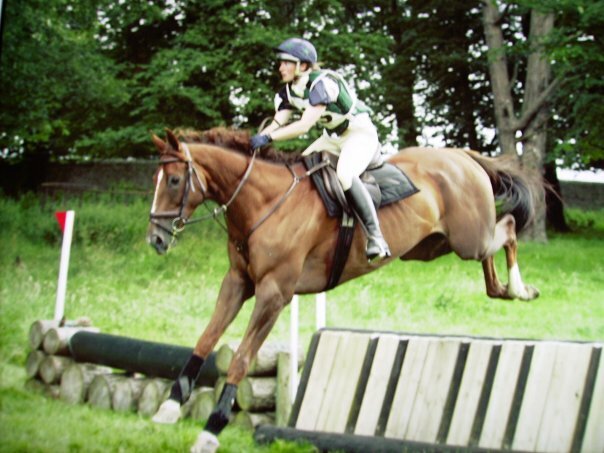 after racing he competed in dressage, eventing and showing with success below the racing photo is him and his rider Beth Hutchinson going X Country.. Here is another ex racer who many will remember winning for us, the elegant Royal Entourage who has a great home with Stacy Kay Bennett who also has Warrior Jack. 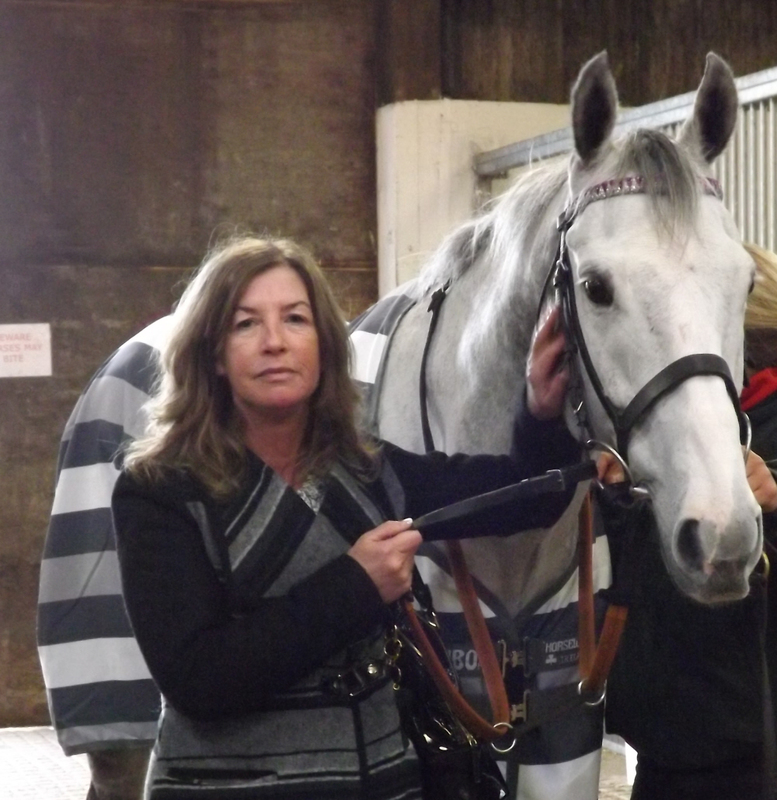 Another Owner we lost, well before her time was Julie Haughton, and we will always remember her for being the most caring of Owners. She enjoyed success with Back to Paris and bought two youngsters that sadly she didn’t see grow up and be ready to race. Below is one of them, now called ‘Arco’ , a Flemensfirth filly out of a good mare, and we now own half of her with Keith and Debra Foster. She has been a real challenge to break in as both Steve Ketlewell and Barry Keniry can testify too! She put Steve in hospital with an almost broken leg and Barry once couldn’t get her tack off for a whole day. However we think she is finally on track to becoming a racehorse and Hugo has the dubious pleasure of riding her out at present. This lady has real attitude but thankfully also a pretty decent engine!! Simon says she is ‘hard as nails’. We would love to see her win her bumper first time out! 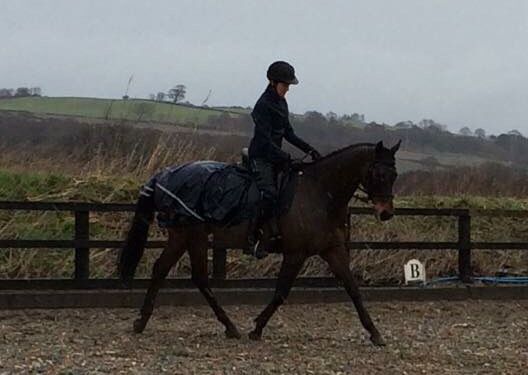 This is her other horse who we would like to re-home as a future eventer, he is a big bay 16.2hh 4 year old, with a good temperament and big mover. Interested? – contact us by email.